At Trinity Heights United Methodist Church, it is our mission "to help one another grow as deeply committed followers of Jesus Christ, courageously working to change our world." Through ministries of worship, discipleship, service, and outreach, our aim is to help equip you to grow as a Christian and make a difference in our world. Join us! Gather in reflection on Jesus’ consistent choosing of love rather than power. 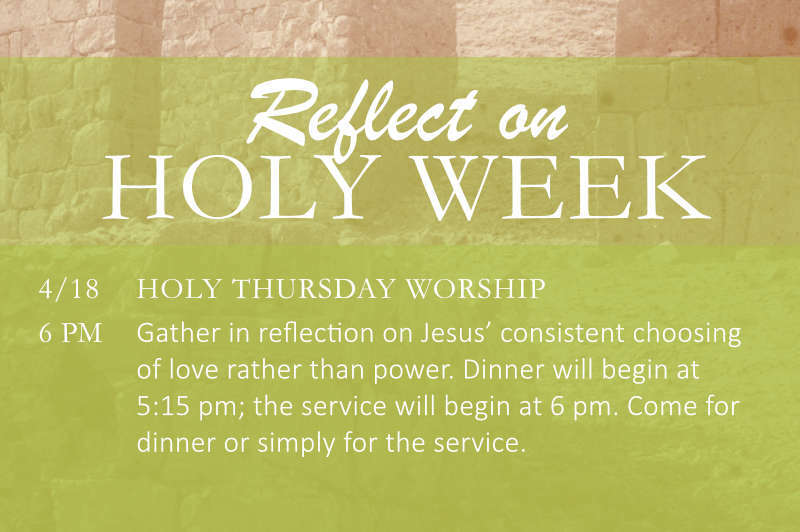 Dinner will begin at 5:15 pm; the service will begin at 6 pm. Come for dinner or simply for the service. Why do we call it good when the lights went out? Our evening worship will remind us of the depths of God’s love, life and the hope of forgiveness, even when all seems dark. 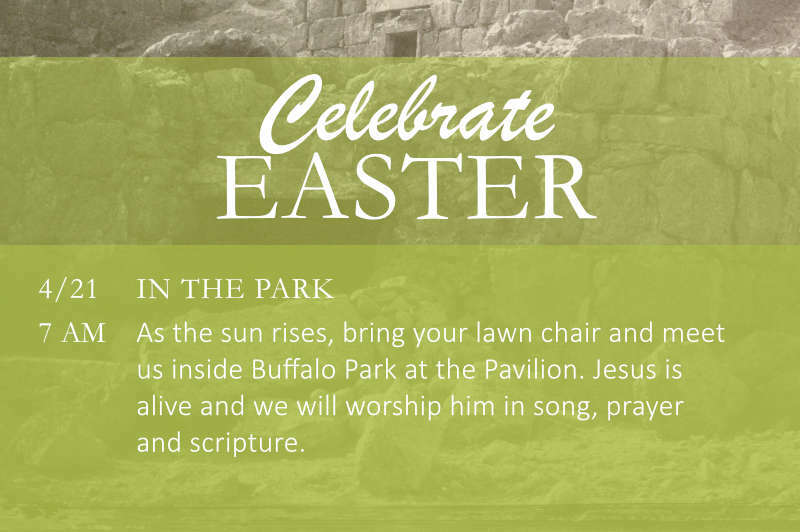 As the sun rises, bring your lawn chair and meet us inside Buffalo Park at the Pavilion. Jesus is alive and we will worship him in song, prayer and scripture. Today is the day! He is risen! Sing praise to the resurrected Christ in the company of brass, choir and congregation. we will meet on the back patio on the church campus for lots of fun. Eggs tend to go quickly, so be ready! Kids can decorate a bag to hold their goodies, and then the hunt will begin! 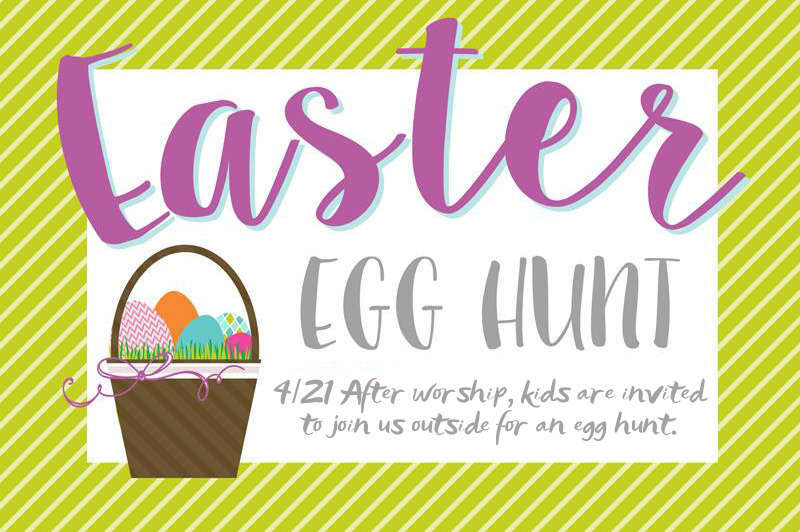 We will have hundreds of eggs spread out in two zones - one for preschoolers and one for older kiddos)! Allergies? No problem! All eggs will contain fun prizes or gluten- and nut-free candy. Bonus: I hope you're ready to track eggs - this year: six eggs contain a prize ticket! Invite your friends - this is going to be a great morning! It's all free, thanks to our awesome donors! Everyone else is invited to come along for homemade treats, coffee and tea in the Fellowship Hall.